Automatically collect Statistical Process Control (SPC) data, improve quality analysis, and ensure your SPC data is accurately collected on time, every time using the powerful features of our Sepasoft™ SPC Module. Ensure that statistical process control (SPC) data is accurately collected on time, every time by using the powerful features of the Sepasoft™ SPC Module for Ignition®. SPC will help you reduce or eliminate late or missing sample collection, inaccurate sample data, or other issues leading to quality problems. Deliver your SPC data in real-time to the right people in a comprehensive format using the flexible control charts and analysis tools. Leverage the full power of Sepasoft™ MES software to facilitate the collaboration and analysis of quality data across your entire enterprise with the SPC Module. Go beyond typical SPC software offerings with simple automatic sample scheduling, quick automatic signal evaluation, powerful SPC control charting, and easy automatic data collection. Taking accurate, regularly-scheduled samples is vital to maintaining quality. That’s why we made it easy to schedule samples automatically in real-time using our SPC Module. The Sepasoft™ SPC Module makes it easy to ensure that samples are taken on time. A samples list shows upcoming, due and, overdue samples by department or location so you can quickly see what’s happening. The system can also automatically send out email and SMS notifications or flash screen indicators to prompt sample taking. You also have the option of setting up the system to automatically stop production if a sample is overdue. When samples are taken, the SPC Module can be set up to automatically approve them or hold them for approval. This feature can help you ensure that samples are approved when and how you need them to be. Easily create sample definitions to define attributes, control limits, signals, and sampling locations. Choose attributes from variable data types such as real, integer, boolean, and many more. To ensure quality, it’s important to keep processes within acceptable control limits. This is done by identifying out-of-control variations as soon as possible without human intervention. The system alerts you automatically whenever an out-of-control condition or bogus sample data has been detected. Alerts are easy to customize so you can have Sepasoft™ SPC send out an email or SMS notification, flash a screen indicator, stop production, or do a number of other alert methods. Every time a sample is taken, the Sepasoft™ SPC Module evaluates out-of-control conditions and automatically alerts you if they are present. With Sepasoft™ SPC, find out-of-control variations quickly and resolve them before they become a bigger problem. The Sepasoft™ SPC Module has typical built-in control limit calculations. These typical control limits can be modified or added to simply by editing, copying or creating new ones. To get you up to speed faster, the SPC Module is provided with standard signals. But when the production environment calls for something more, you can edit, copy or create your own signals. All the data in the world is of no use without good analysis tools, so we built the Sepasoft™ SPC Module with a full range of powerful and flexible SPC Control Charts. Based on security roles, control limit values can be calculated and set interactively on the Control Charts. The Additional Factors feature gives you the flexibility to associate and visualize other production information along with SPC data. With customizable appearance settings for charts, tables, control limits, and signals, you have the power to see the information you need–the way you want. 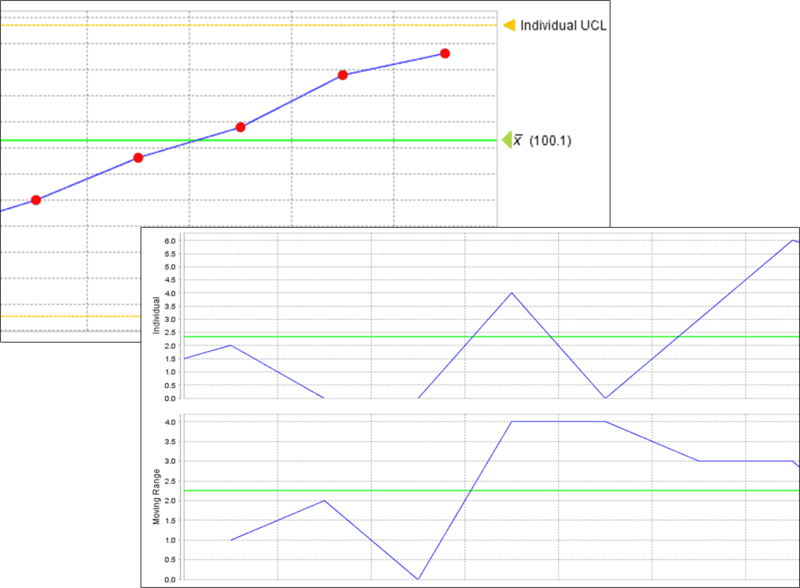 It’s easy to keep information in your SPC control charts up-to-date. You can simply add notes to samples as they are taken, and add assignable causes to samples whenever you need to. Charts are automatically updated with every new sample, so you can always be sure you see the most accurate data, when you need it. Sepasoft™ SPC also includes Impromptu Analysis; a tool that goes beyond SPC control charts to help you zero in on the cause of quality related issues. SPC data can come from a variety of sources, so our SPC Module comes with the tools you need to collect it. Sepasoft™ SPC was built with support for automatically collecting data from PLC devices, OPC-connected devices, lab instruments, RS232 devices, USB devices, data files, web services, and external databases. A built-in instrument interface module allows for data collection from a large assortment of lab instruments. Sepasoft™ SPC supports the collection of data not typically associated with quality, but that can directly impact it. These factors can include raw material, vendors, maintenance, humidity, temperature, and much more. SPC data can come from a variety of sources, so Sepasoft™ SPC comes with the tools you need to collect it. The SPC Module was built with support for automatically collecting data from PLC devices, OPC-connected devices, lab instruments, RS232 devices, USB devices, data files, web services, and external databases. When automatic data collection is not possible, SPC supports manual data entry. In cases when there is no network connectivity, offline data collection is possible using mobile iOS or Android devices. The Sepasoft™ SPC Module can seamlessly collaborate with the full range of other Sepasoft™ MES applications. 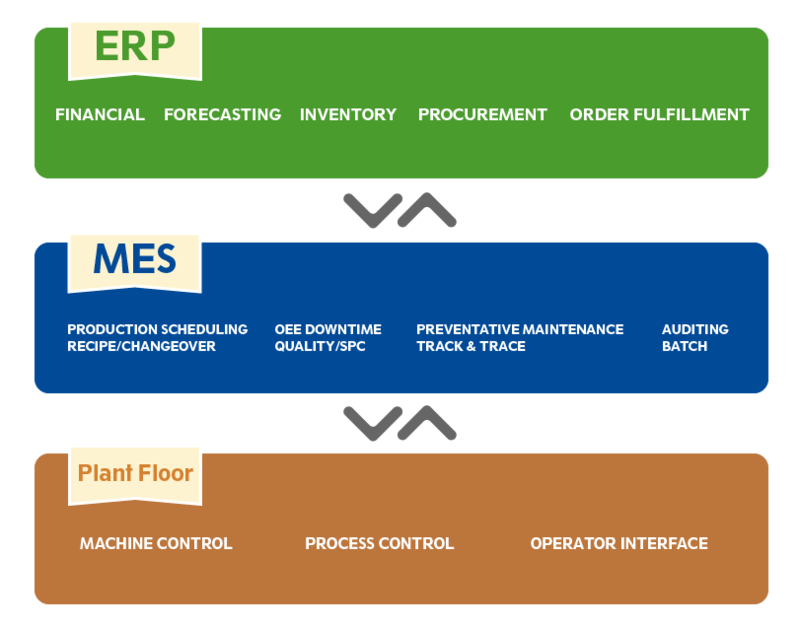 A production process fully employing Sepasoft™ MES offerings can collect quality information as well as track OEE (overall equipment effectiveness) and downtime, recipe management, preventative maintenance, traceability, and more, all on one unified system. Having a unified system reduces double entry and generates more raw data which can be analyzed and used to generate reports. Data collected from the modules can easily be shared and analyzed. This awesome collaborative power makes it easy to analyze relational data, giving you the power to cross reference data, identify trends, look for correlations, and more. Break down the walls between the lab and the plant floor by transforming raw data into useful, actionable information with our Sepasoft™ SPC Module. Unlimited sample collection, SPC rule monitoring, sample scheduling and viewing samples in control charts per physical production site and Ignition server license. Includes basic and advanced SPC control charts (advanced control charts include process capability, process performance and box and whisker). Sample collection, SPC rule monitoring, sample scheduling and viewing samples in control charts are limited to one machine per machine license. Includes basic control charts. Use the Sepasoft™ Web Services and database capabilities to easily connect your enterprise resource planning (ERP) systems, MES applications, and plant floor control systems as your central hub. Because Sepasoft™ is cross-platform and based on open standard protocols such as Java, SQL, and OPC-UA, you can connect all your devices, databases, and computers together to achieve unparalleled collaboration.